'Linen embellishments adapt so well to the playfulnes inherent in children's spaces that you wonder if maybe the whole idea was born there. 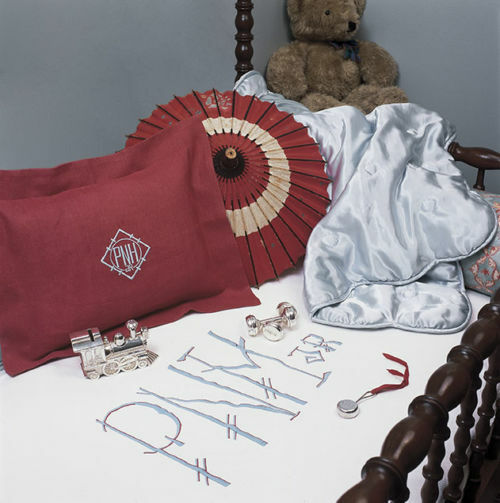 A bouncy bed is one of the first toys a child discovers, and so let it be just that by bordering the comforter with a big bright stripe and appliqueing a whimsical monogram in the center.' - excerpt from LINENS: For Every Room and Occasion.